We all love our pets but they can be quite a handful at times, from chewing furniture to tracking mud into the house. Most households have a pet and they tend to put a strain on all kinds of household fixtures, including plumbing. Air Pro Master, the best plumbing contractor in Las Vegas will give four tips to help you to avoid plumbing problems if you have a pet. Pets, especially puppies, love to chew things. If a pet chews through an exposed pipe, fixing the resulting problems can be pricey. Apart from that, you don’t want your pet to be hurt. Covering exposed pipes and wires will prevent damage and you will avoid a trip to the vet. Talk to a plumber about what material is best for covering an exposed pipe without creating an eyesore. Pets drink out of the toilet because they’re thirsty. If you make sure they always have enough water to drink, they tend to stay out of toilet water. 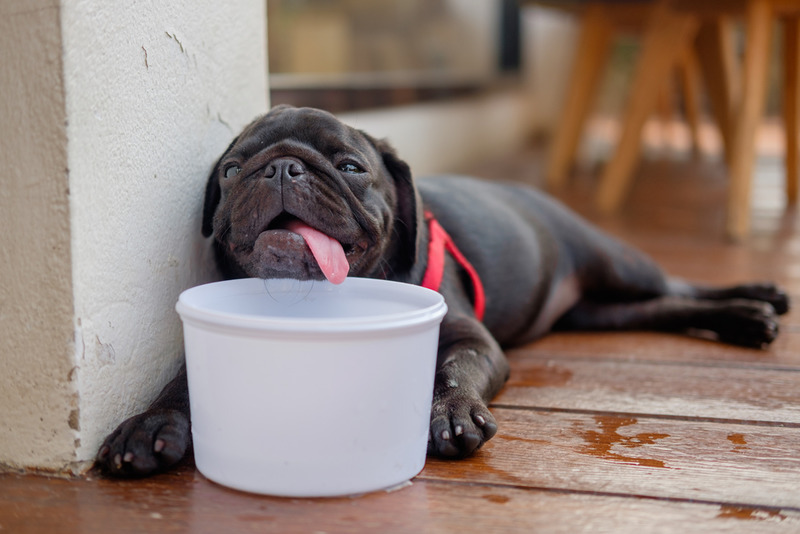 As a general rule, check on and fill your pet’s drinking bowl twice a day. This will prevent them from the unsanitary habit of drinking out of the toilet bowl. Dogs love rolling around in the mud but when you have to clean them, it can be a plumbing nightmare. Rinse your muddy dog off in the bath and that matted fur can easily clog up your drain. It will help if you pre-rinse your dog with a hose outside to remove most of the mud and then take your dog to the bath to finish off the job. Using a drain stopper in the bath will prevent the fur from going down the drain and clogging. You don’t want your poor pipes to have to contend with a furry, muddy mess. Some people dump used kitty litter down the toilet. The packaging may say this is safe but the litter tends to clog up your toilet, possibly necessitating a call to the plumber to fix the problem. As a general rule, you should never flush anything besides human waste and toilet paper. Your pets can become seriously sick if they get into your bathroom cleaning supplies or chemical drain cleaner. Make sure those are locked behind cabinet doors or stored high enough to be out of reach. If your beloved pet has caused a plumbing problem, call a top plumbing expert in Las Vegas. The professional plumbers at Air Pro Master will fix any plumbing problem for you. Contact Air Pro Master on (702) 935-150 for 24-hour emergency service.